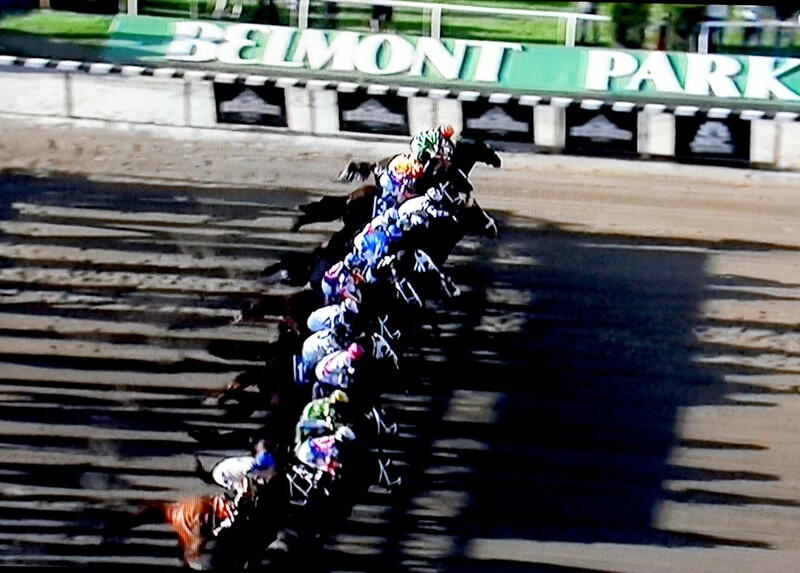 Belmont Stakes Week was kicked off by Nassau County Executive Laura Curran at Belmont Park. She was joined by New York Racing Association (NYRA) CEO Chris Kay, Nassau County Police Commissioner Patrick Ryder, Department of Health Commissioner Dr. Lawrence Eisenstein, Long Island Rail Road (LIRR) President Phillip Eng and Nassau County Industrial Development Chairman Richard Kessel. The Belmont Stakes Racing Festival taking place at Belmont Park from Thursday, June 7 through Saturday, June 9, has quickly become an exciting way for sports fans to kick off the summer season in New York. The festival includes the very best in thoroughbred racing alongside world-class entertainment and premium hospitality options, said Kay. Attendance is expected to reach 90,000. And for the first time since 2015, Belmont Park will play host to a Triple Crown contender with Justify looking to achieve racing immortality and a newly-designed award. 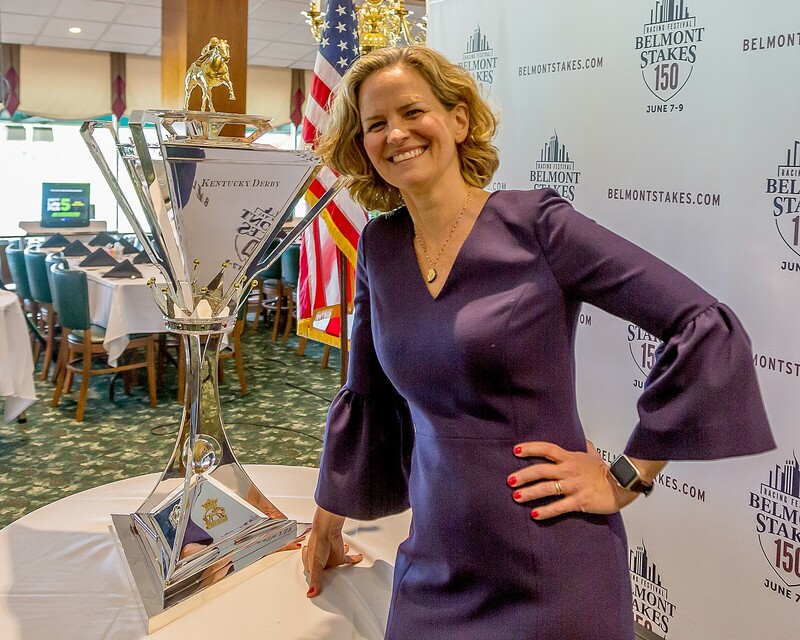 Nassau County Executive Laura Curran poses with the new Belmont Stakes trophy designed by sculptor Roberto Santo and created by silversmith Ubaldo Vitali. The spectacular new Triple Crown trophy, designed by sculptor Roberto Santo and created by silversmith Ubaldo Vitali, was unveiled at the press conference. The trophy stands 36 inches high and weighs about 45 pounds. During the course of the three-day festival, there will be 33 races, including 18 stakes, offering $9.4 million in purses, according to Kay. Entertainment will be top notch this year. Third Eye Blind will headline the performance lineup for the 2018 Belmont Stakes Racing Festival with trackside pre- and post-race concerts on June 9. Belmont Stakes Day will include a performance from the hit Broadway musical A Bronx Tale. On Friday, June 8, fans can enjoy a performance from the acclaimed Billy Joel tribute band Mike DelGuidice and Big Shot at the end of live racing. The Nassau County Police Department outlined traffic and security issues and the LIRR outlined its operations for the day.